For several years I’ve been on the lookout for the best standing desk that isn’t too expensive. The Lift35 converts any surface into a flexible sit-stand desk providing the proven health benefits of movement. 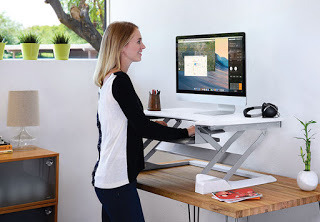 I was able to set this up quickly and have been impressed with the simplicity of the desk’s hand-brake levers to instantly stand up or sit down as I work.